Perfect accommodation for a leisure stay. 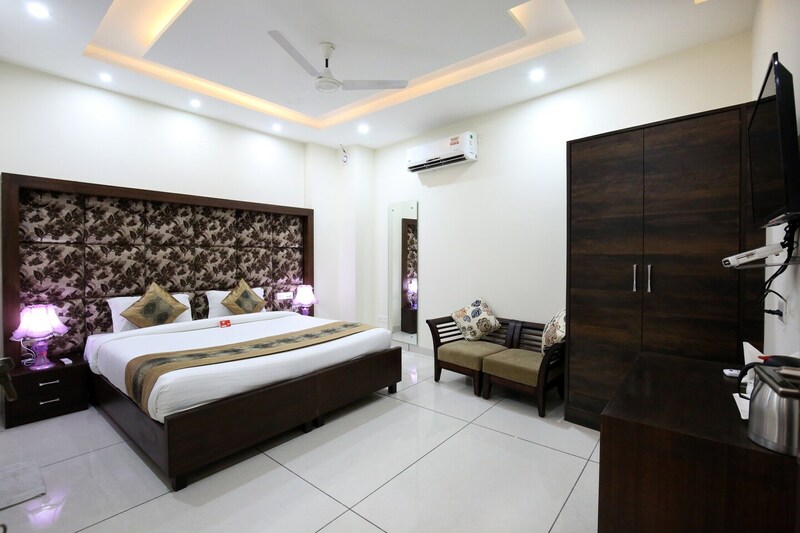 Hotel The 13een is in close proximity to the Chandigarh Railway Station and provides a comfortable stay at a pocket-friendly price for a leisure stay. Equipped with modern facilities, the hotel has a royal interior. The rooms are bright with unique wall finishing, attractive linen, and a decorated ceiling keeps the room well-lit. The designer cushioned headboards and the cushions make the space elegant. Chairs make for the extra seating space in the room. The bathroom is compact with modern amenities. Guests can avail the facility of free WiFi, card payment, and laundry services. Cactus Garden, The Fort Ramgarh, and Mansa Devi Temple are near the hotel for spiritual release along with shopping hubs to unwind.